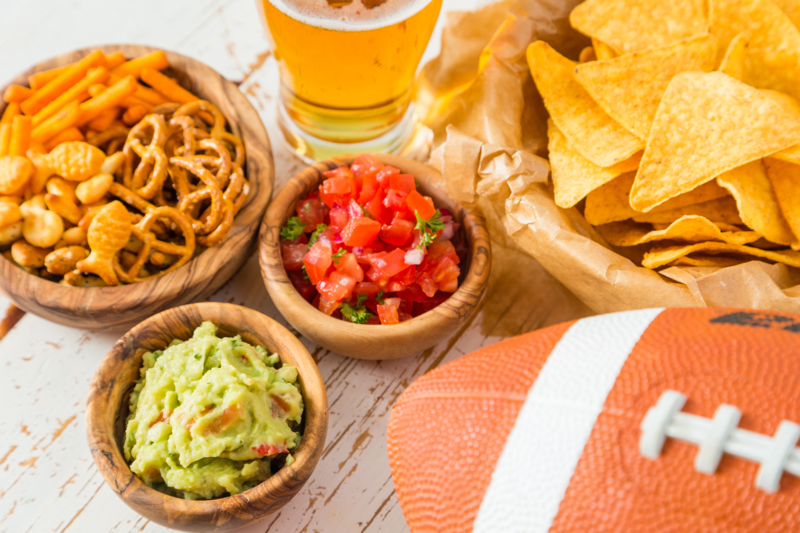 Americans eat a lot on Super Bowl Sunday, according to one 2015 study consuming triple the amount of their daily allowance of calories per serving during the Super Bowl. In fact, it’s the second largest food consumption day of the year in the country (behind Thanksgiving). Of the many millions of pounds of snacks eaten in honor of America’s (still) favorite sport, 8.2 million pounds of that are tortilla chips, generally served with such things as cheese, beans, and avocados. Not just commonly served today during football games, the legend of nachos has a football-centric history that doesn’t date all that far back, similar to another Super Bowl party staple, Buffalo Wings, that only became popular a little under three decades ago. This all brings us to the topic of today- who invented nachos and why are they called that? Discovery of this latter fact led Adriana Orr from the Oxford English Dictionary in a search to see if there was an Ignacio behind nachos. What she ultimately found was a man named Ignacio Anaya Sr. who, while he probably wasn’t the first person to ever decide to mix tortilla chips with melted cheese and jalapenos, does seem to be the person directly responsible for nachos becoming a thing, along with lending his name to the food item. The “nacho” story begins in the early 1940s in the town of Piedras Negras, Mexico, which is only four miles from the American border and near Eagle Pass, Texas. That was the site of historic Fort Duncan, which during World War II was used as a support facility for the nearby Eagle Pass Army Airfield. With the border only a few miles away, many who were stationed in the region often traveled into Mexico for a better bite to eat. This is where details of this legend get deliciously murky. To wit- in Piedras Negras a favorite restaurant of the border crossing Americans was the patriotically named Victory Club, then owned by one Rudolfo de Los Santos. Another such restaurant in the town was the Old Moderno Restaurant. Both establishments featured a common worker – the aforementioned Ignacio Anaya Sr., who was more affectionately known as “Nacho” Anaya. Stories are mixed (including ones featuring interviews with Anaya Sr. himself) as to which he was working at when he first whipped up the appetizer that would come to bear his name. Wherever he was when he first made it, after their advent, he made sure they were served at both restaurants. Honestly, I didn’t have the least idea what I was going to try. But, I went into the kitchen, looked around and started groping for an idea. I saw a bowl of freshly fried pieces of tortilla; then I figured some grated cheese on them might be all right. Well, I got the cheese and began sprinkling the tortilla pieces with it. About this time, I got the idea to put some jalapeno strips atop the cheese. I got the jalapeno; and as I finished putting the strips on the cheese, I decided it would be a good idea to put the whole thing into the oven to melt the cheese. When the customers asked what the dish was called, he told them “Nacho’s Especiales.” Within days patrons were clamoring for “Nacho’s Special” and Anaya was teaching other workers at the pair of restaurants he worked at to make them. He also soon began experimenting with variations on the original, such as including refried beans and guacamole. It should be noted here that the original date of these first nachos is disputed- it was claimed both in the aforementioned 1954 San Antonio Express interview as well as in a Corpus Christi Times interview in 1974 that Ignacio said he first whipped them up in 1940. But in both cases this wasn’t a direct quote from him, just these articles claiming he said that. If this is true, it would call into question the commonly stated “soldier” or “soldiers’ wives” angle as Fort Duncan wasn’t made into a military base in WWII until 1942 and Eagle Pass Army Airfield not activated until that same year. However most sources, including Ignacio Jr., state the correct year was actually 1943. As for Anaya Sr. himself, he would go on to open his own restaurant, Nacho’s Restaurant, in Piedras Negras where Nacho’s Especiales were featured on the menu. While Rocha’s introduction of nachos to the west coast surely contributed to its popularization, there’s no bigger influence on how nachos are consumed today than Frank Liberto, “The Father of Nachos”. He’s the man who introduced so-called “fast food” or “stadium” nachos- the ones with the gooey, yellow “cheese”- to sports stadiums and movie theaters. With his family originally hailing from Sicily, Liberto took over the San Antonio-based family food business from his father “Rico” Liberto selling concessions. In fact, the company was perhaps the first American concession-focused business, even pioneering the selling of peanuts at the circus. As for the tale of the evolution and popularization of nachos, at a Texas Rangers baseball game in Arlington in 1976, Liberto’s company “Rico’s” sold the very first “stadium nachos” featuring a jalapeno cheese sauce Liberto had come up with. The advantage here over melting grated cheese on the chips was that the gooey “cheese” sauce could be ladled up quickly and had a long shelf life. Within a year of this, with an eye on moving more into the lucrative movie theater concessions industry, Liberto purchased Associated Popcorn, which was a major supplier to various theaters in Texas. This, combined with John Rowley of United Artist Theatres discovering Liberto’s nachos, saw gooey-cheesed nachos hit the concessions stands in theaters across the state. As for how nachos became more mainstream nation-wide, this is thanks to their being served at the Dallas Cowboys’ Stadium in 1978. At the time, the Cowboys were known as “America’s Team” and often played host to ABC’s Monday Night Football. The announcing team for those games included the legendary Howard Cosell. The story goes (at least according to Liberto’s son) that while trying to fill dead air during a blowout, Cosell groped around for things to talk about and remarked on how delicious his snack was- these new “nachos.” Whether that was really his original motivation or not, Cosell did indeed begin to describe plays on-air as a “nacho,” as in “that was a nacho run” and extolled the virtues of the tasty snack frequently. Not long after this, “stadium nachos” were in every stadium across the country thanks to Cosell’s near constant promotion of the word – and food – nacho. You are so very close to correct. Fort Duncan was four miles from the border. Piedras Negras is on the border, as is Eagle Pass. Locally accepted lore is that it was an officer’s wife who was welcoming other wives during the expansion of the Army airfield in ’43. They had arrived late in the day from San Antonio which was a four to five hour drive in those days( two and a half today). They arrived at the restaurant near closing. Nacho was working on closing the kitchen for the night. The one woman was a regular customer. When Nacho told her that everything was gone or put away for the day, she asked if he could put together ANYTHING for these women who had not eaten in many hours. That was when he whipped up the treat for these potential new regulars. The other accepted story was that these women had been out shopping all day and were just late to the restaurant. They begged Nacho to make them something to eat. He complied to shut the whining officer’s wives up. and to keep the dollars coming in. And the rest is history. Ok I’ll only block you once! Cox Ucker. “Tex-Mex slang word combining “naturally” and “of course” into “nacho” Wrong! The word is “natch!” and isn’t, or wasn’t ever, a “Tex Mex slang word”. Texan maybe, if any. And nachos are no amazing discovery: tortillas, and cheese??! Who’da thunk it?? Hmm quesadillas… cheese enchiladas…. flautas…. taquitos.. well we know with Mexican American food it’s basically cheese, tortilla, and maybe some meat and/or some chiles.